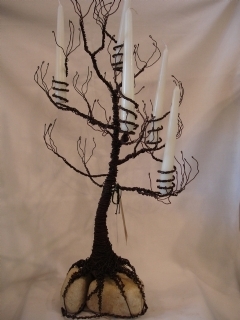 Hand crafted twisted iron tree that holds five taper candles. Base is made of several stones wrapped in in iron resembling roots. Very unique and functional. Size: 27" high with 17" diameter.